You won't believe how tidy and move-in ready this 3 bedroom, 2 bath home is and it certainly won't last long at this price! 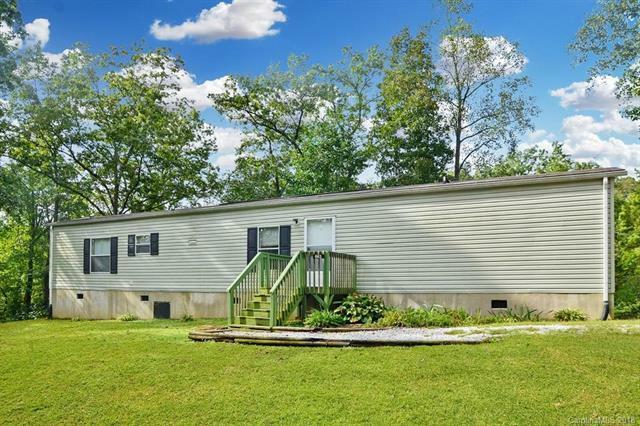 This cute home that sits on 3.41 acres is Located on a private drive with no neighbors in site and only one neighbor past this property. Split open floor plan with two bedrooms, 1 full bath on one end of the home and master bed/bath combo on the opposite end. The kitchen is laid out perfectly with an ample size laundry room located just off of the kitchen, a true Homemakers delight! Outbuilding is good size and home is on its own private well and septic. It includes a Shared Road Maintenance Agreement. Call today to schedule your own private viewing of this unique property.